Sometimes I tend to think that it ain´t fair to say that Mexico is far away from developed countries regarding productivity, service, and quality. Especially service, since Mexican people is often recognized worldwide for its warmth and kindness to foreigns. Of course, having good people in companies is not the same as having superb service. Lately, I have to retract myself from thinking that Mexico is not so far from the US, for example regarding customer service. Poor Customer service at dealerships. There are different recent examples, that my Wife and I have experienced to state that Customer Service is almost non-existent in our country. The story goes back to a couple of weeks ago when my car caught fire and it was declared a piece of junk. No repair is possible, so thanks to my family who lend me money I started the process to look for a new car. As look for several options, I decided to go for a previously owned, since we are already paying for my wife´s new car, we didn´t want to spend more, so I thought that going to a dealership for a certified previously owned was the best option. Checked different websites and found three different dealerships with interesting options within my budget. So I filled 3 forms at their websites and received confirmation e mails that a sales representative would communicate with me soon. I even went to a dealership on Sunday, but unluckily used cars section didn´t open on Sundays. So I left my information: name, phone number, etc. So, I patiently waited for those representatives to call me. Monday morning received one call very early, it was a rep from the first dealership I saw on the internet, a Suzuki dealership. Very polite, she scheduled my visit to check on the car I was interested in. But a couple of hours later in the day, received another call from the same lady, saying that the car I was going to look for, had been sold. Apparently, cars are sold quicker than updating a web page. So, luckily for me, she texted me the cars they had in inventory and I thought, I´ll give it a try. After all, I intended to go there anyway and probably could find a similar or a better option being there. I have to say that this girl, made her best to make sure I wouldn´t walk away from them, and actually ended up checking and signing for another one. 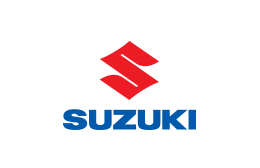 Suzuki: A very different approach from the lady who took my request. I also received a call from that dealership that didn´t open the used cars section on Sunday. It was a Renault dealership. The representative asked me what cars were interesting to me and I indicated two models that were available. Also asked for financing options and he told me that would send me the info to my e mail, and guess what. I´m still waiting! Two similar situations, totally different approaches. The rest of the dealerships didn´t even call me, and there is no wonder why I decided to go for a Suzuki model. Comparing this 2 reps, I find similarities, in the way that the systems they were working with, were not perfect. Far from it! In the Renault dealership, they didn´t open on Sunday, in Suzuki, the web site can´t keep up with the pace of used cars being sold. Yet, the responses were totally different. Better training at one dealership? Better hiring process? Standards clearly defined at one? Maybe. One thing is a fact. If processes and systems are not existent, it is managers responsibility to engage workers and let them create the standards, provide the support, and make sure these processes are clear enough for the workers to be understood and be executed. The second example is related to a poor online purchasing experience. Turn´s out my daughter wanted a big girl´s back pack. 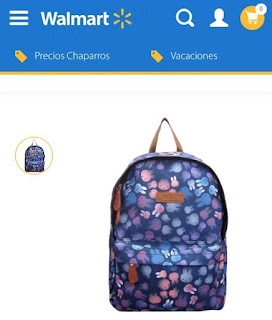 She is 9, and is going away from cartoons and stuff like that, she wanted a girls back pack, not a child´s. So my Wife and daughter saw a nice back pack at Walmart´s site and decided to buy that. They waited for the delivery and when the back pack finally arrived, It was the wrong model. So, my Wife had to go through the claims process where she had to physically go to a Walmart store, fill a format, provide information, and to her surprise, nobody in the store knew how to process a claim from a purchase done online. She had to wait, because the person responsible for processing online claims, was new and was getting his badge that day. In the end, an employee attended my Wife, very polite and processed the claim. What was Delivered the first 2 times. A few days later, Walmart delivered the back pack, and guess what... It was the wrong one, again! Fortunately, my Wife checked the product right there and was able to return the back pack right there. In the third delivery, finally, Walmart was able to deliver the right product. In part because one worker, follow up on this issue and managed to get the right product this time. What happened? So many flaws from one big company who has been a symbol for logistics efficiency, and needed three deliveries to get the right product delivered. Where is the issue? Wrong identification on products? products located in the wrong locations? No standards? Insufficient standards? Standards not clear enough or difficult to execute? Those are the questions managers need to ask. The good part of the stories is that in both cases, workers saved the day. But, cannot be this way all the time. There will come the moment where they may not be as sharp, as polite or as concentrated as they were in these cases. They are humans after all! That is why systems and processes are so important. Good People in Bad Processes can deliver mediocre results. Good processes can make Good People deliver outstanding results. What is your take on Customer service? Have you experienced situations where poor processes produce mediocre results? Please share your thoughts.